People just expect Serena Williams to win. Even when she finds herself down 3-1 in the opening set of her first-round match at the 2015 Wimbledon, the feeling never changes. Williams is that good, that talented, that overpowering, she’s as close to automatic has anything we’ve ever seen in the world of women’s tennis. Therefore, a 3-1 hole is nothing more than a slight inconvenience on the path to victory. At least that’s what we saw Monday. Russia’s Margarita Gasparyan got off to a hot start against the younger Williams sister, but eventually the World No.1 made the necessary adjustments, took 11 of the last 13 games, and dispatched her opponent in straight sets 6-4, 6-1. With this latest victory, Williams is now 59-1 for her career in first-round Grand Slam matches and is currently on a 22-match winning streak in Grand Slam events. While it wasn’t surprising to see Williams move on to the second round at the All England Club, it was interesting to see that she really had to work for it. While Williams may not have anticipated being challenged in her first-round matchup, it’s safe to say that she knows she can’t afford to let her guard down for one moment. When you’re the best player on the planet, although you’re expected to win, that doesn’t necessarily mean there’s any less pressure to do so. In fact, we happen to believe this particular go around will even more stressful. After all, that’s what usually happens when history’s on the line. In the history of the open era, there is only one female tennis player to win more Grand Slams than Williams’s 20. By capturing 22 during her career, Steffi Graf set the gold standard for the women’s game. On top of her career total, the German superstar is the only player in the history to ever achieve the “Golden Slam.” At just 19 years of age — in 1988 — Graf won the Australian Open, the French Open, Wimbledon, the U.S. Open, and an Olympic gold medal in Seoul. While Williams is not in a position this year to achieve Olympic greatness, she is on pace join Graf in the extremely exclusive club of those who’ve managed to win the Calendar Grand Slam. And that would be a major accomplishment. 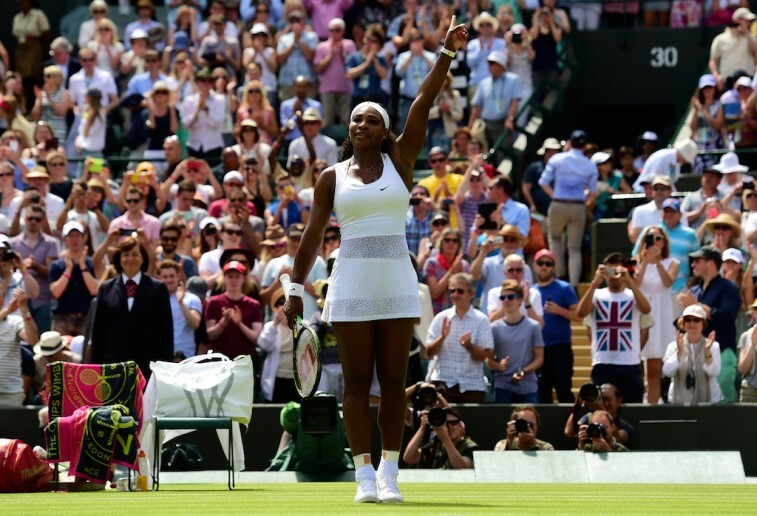 Now before we get ahead of ourselves, it’s important to note that, should Williams win the 2015 Wimbledon, she will have earned her second-career “Serena Slam” — a result of winning the last four majors. However, since Williams won the U.S. Open in 2014 — to go along with the 2015 Australian Open and 2015 French Open — she will not have won all the grand slam events in the same calendar year. Not yet, anyways. But if she were to take this grass-court title, she’ll be one major away from catapulting herself into a new stratosphere of greatness. Considering the stakes, you’d think Williams would be feeling the pressure, but she’s not ready to start thinking about history. Her ability to overcome adversity, block out the noise, and focus on the task at hand, is bog reason why Williams is one of the best players in the history of the game. Yet, there is a solid argument to be made that she will never find herself in the “great of all time” conversation unless she can take Graf down a peg. The only way to do this is to keep doing what she does best: Winning. 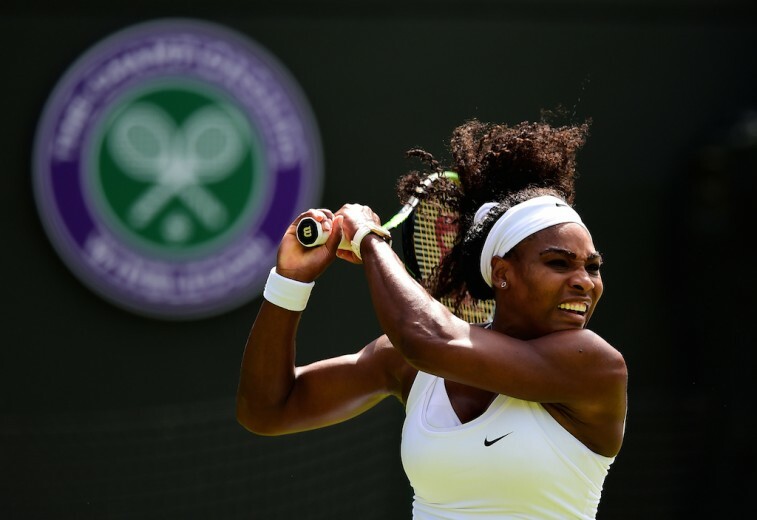 There’s no reason to believe that Serena Williams can’t defeat the rest of the field to capture her sixth-career Wimbledon and 21st overall major. When she’s playing her best tennis, there is no one else on tour who can compete at her level. But there’s nothing quite like being the one to take down the giant. And you better believe that’s what the World No. 1 is right now. Williams may not be feeling the pressure of the moment, but that doesn’t make the moment any less significant. Some players are great. Some players are all-time greats. And every so often, one players distances themselves from the pack to become the greatest. Serena Williams has a shot at the latter. 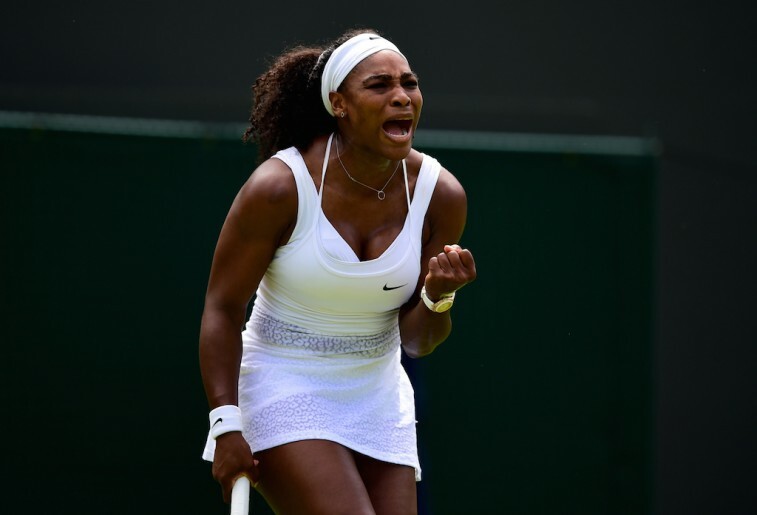 But first she has to take care of business at the 2015 Wimbledon. No pressure. All statistics are courtesy of ESPN.go.com.